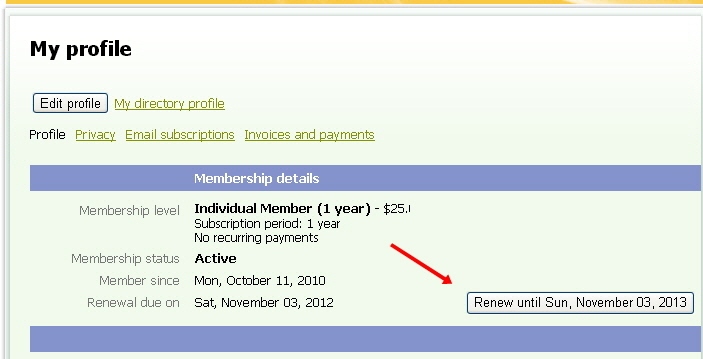 To start the renewal process make sure you are logged in and open your member profile using the 'View Profile' button at the top right of the page just below your name. This will take you to your member profile page. 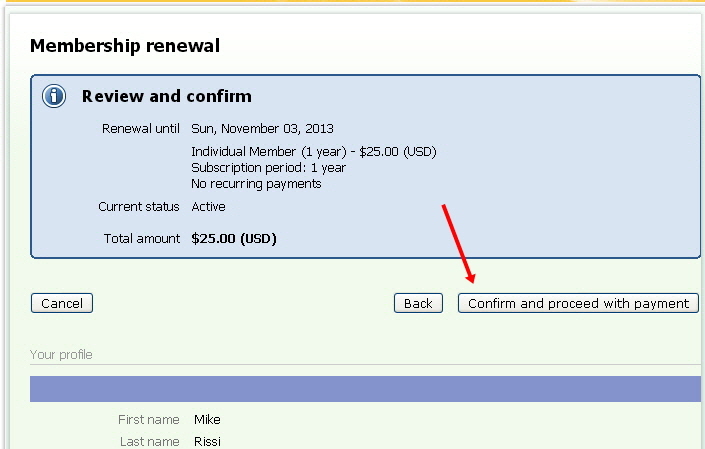 Select the 'Renew until...' button next to your renewal due date. This will take you to a page to make any updates to your personal information (address, phone, ...). After making any changes select the 'Update and next' button to proceed to the confirmation page. 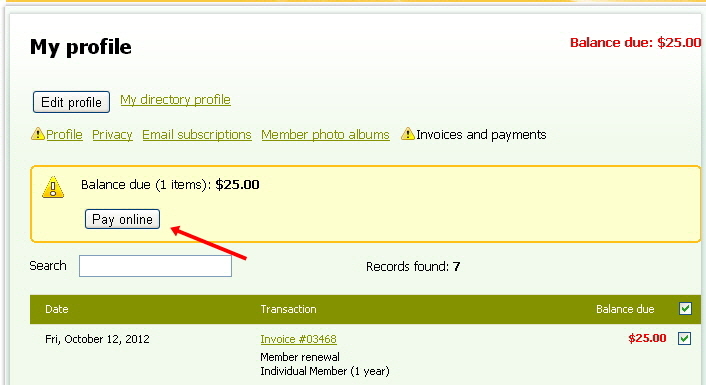 This page allows you to confirm your updates were made correctly and view the amount due before proceeding to payment. If you need to make any more changes to your information use the 'Back' button. If everything looks correct select the 'Confirm and proceed with payment' button. This will take you to the payments page where you can elect to pay with a credit card or PayPal by using the 'Pay online' button. That will take you to a secure entry screen to complete your renewal payment. If you want to send in a check instead of paying online, just leave the renewal process at this point and send a check to the Membership Chairman. You will receive an email reminder with the amount due and address to send your check. 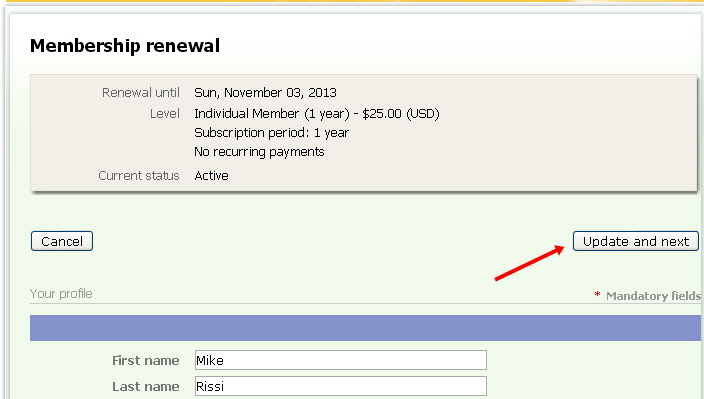 If you paid by online this completes your renewal. If you elected to send a check, your renewal will be left in a pending status until we receive your payment.